Northlord Publishing: The Goblin Squad is Now Available! The Goblin Squad is Now Available! 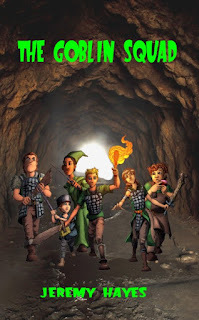 The 5th book by Jeremy Hayes, The Goblin Squad, is now available on Amazon. It is available as a paperback or an ebook for Kindle. 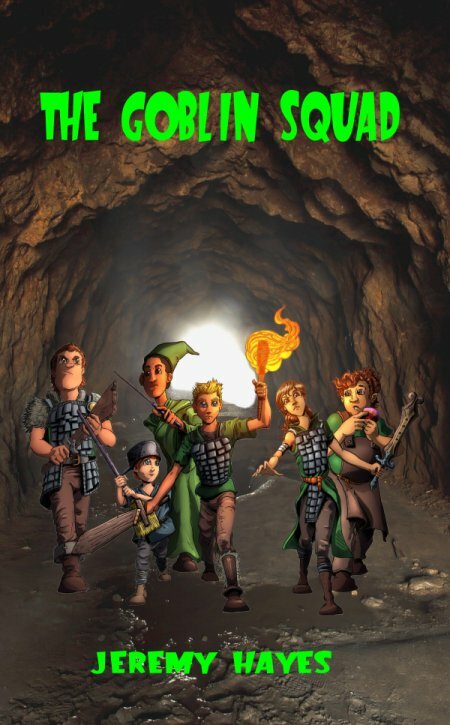 The Goblin Squad is a children's fantasy novel suitable for all ages. The front cover artwork was done by the amazingly talented, Joseph Garcia. You can check out more of Joseph's work HERE. The town of Reflection Falls has a problem…goblins! The annoying little creatures creep down from their caves in the mountains to steal vegetables from farms and gardens. The brave knights of the realm are far too busy keeping their lands safe from real threats, such as dragons and trolls, so the Goblin Squad was formed. When children reach the age of ten, they participate in a series of yearly contests in order to be chosen as the next members of the squad. Their duties involve patrolling the town and chasing away the goblins. But, a group of new recruits soon learn that there is more going on around Reflection Falls than just vegetable stealing. The adults are unaware, so the young friends decide to investigate the strange behavior of the goblins and soon find themselves far away from the safety of the town.